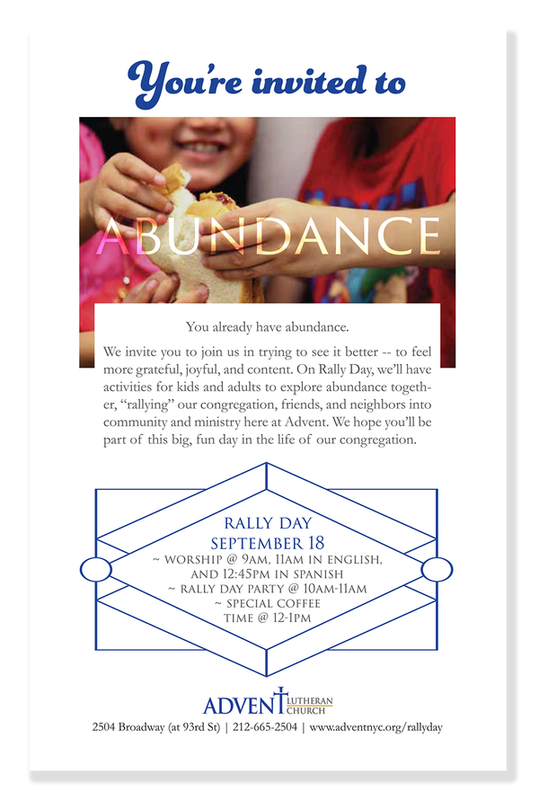 Join our Rally Day Celebration in the basement fellowship hall from 10-11am, and join us for worship at 9am or 11am in English, or 12:45pm in Spanish this Sunday. We can't wait to see you on Rally Day. Feeling excited already? Below are some ways you can start getting in the Rally Day spirit right now! We're focusing so hard on delivering awesome activities and ministry opportunities on Rally Day, we'd like to ask for your help with having some tasty, healthy snacks handy Sunday morning. If you're able, please grab some bagels, fruits, donuts, bars, juice, or any other breakfast-y snack to bring with you to Rally Day.